I am wondering if anyone knows what is going on with Mattia Cairoli at Mineral One in Italy. I won an auction from him in late July (! ), and sent payment immediately. A few weeks later, he wrote to say that shipping would be delayed until September. Since then, I have heard nothing in response to repeated email messages and web contact. It was not an expensive piece, but I would still like to receive it. Mattia is a member of Mindat, but has apparently not logged in for a long time. In my last email to him, I told him that I would turn to the Mindat community for assistance, so here I am, hoping someone can shed light on this situation before I file a claim with PayPal. Not sure if they are that one, and apparently not updated since 2017, but maybe you can try this channel, too. I would advise trying to contact whoever is running mineral-auctions.com (which used to be run by the late John Veevaert). I don't know if this was the channel through which you had purchased your specimen, but if so, you should let them know because according to the site, Mr. Cairoli was regarded as a trustworthy dealer by John. I've won items through those auctions, although not from Mattia. My experience with the other sellers has been positive. I would have spoken up earlier but I thought it appropriate to allow others who might personally know the relevant parties a chance to give their input, since I am a relatively new collector and have not met anyone in the collector/dealer community in person. What I am relaying is based on online interactions and what I have read online. One general piece of advice when buying online is that you should never hesitate to exert your rights as a consumer/buyer of goods. You won the auction in good faith. You might really, really want that specimen. But there should never be an excuse for a seller to take your payment but not ship the item promptly. After all, what possible circumstances could allow for a seller to process your payment, but not have already made the appropriate arrangements to ship the specimen? If the seller is not ready to ship, then they should not have put the item(s) up for auction. Yes, life happens, but that does not absolve a seller of doing their due diligence to plan in advance. If the shoe were on the other foot, so to speak--do you think any seller would be willing to send you the specimen first, and then wait months for you to pay them for it? When auctions say that you're entering into a legally binding contract to pay, and you could be banned for failing to do so in a timely fashion, where is the same accountability for the sellers? Don't allow anyone to string you along. Document everything. Take videos of your unboxings in case of damage. I remember that Mineral One has been a seller on e-rocks.com, which is an e-commerce site for (primarily) European dealers. Perhaps you can glean some information there. 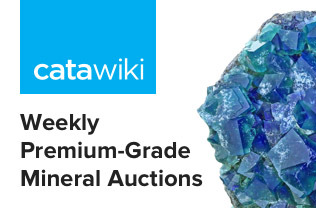 I don't think they've ever appeared on the mineral-auctions.com site, which is mainly US dealers. if you send me your private email I will give you some coordinates of Mattia Cairoli who, by the way, is a very respected and recommended mineral dealer, mainly focusing on Iranian minerals. I've been a customer of his on e-rocks, he's been on there years, and I've not had any issue from him. Clearly, something is going on. File the claim to protect your rights and get your money refunded, but I would doubt anything nefarious is happening, at least in terms of his intention to defraud. Thanks, all. Michael, that’s my feeling too. This is my first posting on Mindat but I wanted to weigh in on Mr. Cairoli. I have had several transactions with Mattia and all have been exemplary. When I came across this thread, I reached out to him and he just got back to me this morning. Mattia is doing well, but he has had some issues with an employee who no longer works for him. Please try to contact him again. This is the email that I have used with no issues: mattia474@gmail.com. I hope this has helped. Had the same issue, but after three months or so, the specimen eventually arrived. Wrote to two different emails, but can't track them down right now at work. Also had no such issues in former times (via e-rocks), so I guess something happened to the owner of Mineral One (no further auctions since then on e-rocks) and some other person has been dealing with the overdue transactions. Still no response. Really disappointed, especially after David’s hopeful message. 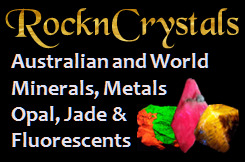 I have purchased a number of mineral specimens from Mr Cairoli on e-rocks.com and I have had no problems with any of the shipments. I have found that delivery of parcels from Italy to New Zealand can be very slow at times, although it appears to have improved lately. I have had parcels that have taken almost two months to arrive from Italy, so if your parcel was posted sometime in September then it may still be on its way to you. His website still appears to be operational, although the last update was in July 2017. My last e-rocks invoice from him was in August 2017. In the contact details section of the website there is a message that for any information or questions, please write to INFO@MINERAL-ONE.COM. Thanks, Hamish. I have attempted to contact him through his website, without response. I also had two email addresses for him, but he has not responded to messages sent to them. His last communication, back in August, said he would send a message when he shipped. While I still believe there is a good explanation, the fact that he has communicated with others more recently leads me to believe I am out of luck. Only time in 20 years of online dealing that I have had such a problem. Ken, I also had no response, but the specimen arrived eventually (after 3 months). So, don't give up hope.